Another year gone and the books balanced, trustees report ready for approval and the new year off to a fine start. This past year has seen a lot of activity. New fences, gates and the ditch widened and deepened to reduce the flood risk to the lower part of the school site. 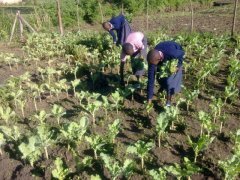 The 26 acres of land rented and cultivated yielded income to the school and funds to re-cultivate this year. 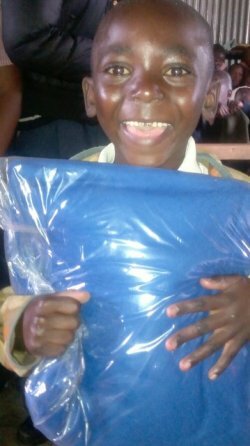 The profit provides a monthly income into the school. An additional 8 acres were funded early in 2013. 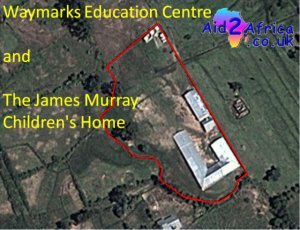 Income from this land will be used to rent the same land again next year and any profit will go into the school accounts. 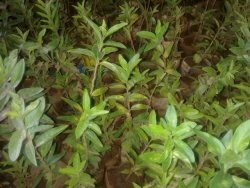 The planting of additional fruit trees around the perimeter of the school site should in due course provide income in kind to complement the growing of crops on unused land at the school which is already supplement the food grown and tended by the children and then put into the kitchen which enhances the children's diet. 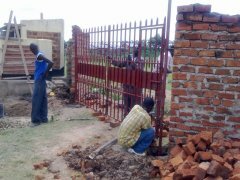 As mentioned above in response to security issues last year, new steel gates were fitted. A new fence installed all round the site and in October a living thorn fence was planted as a more permanent, secure perimeter to the site. Sadly again this year the total giving to the charity has gone down. While this has not stopped us carrying out the work with the children it does mean that extending what we want to do in the future is being limited. On the brighter side we added another classroom to increase provision for the pre-school children and have funded over 220 mosquito nets for the staff and children. These nets WILL save lives. Thank you to those who gave money specifically for the purchase of these nets. 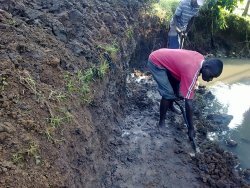 The new year brings additional challenges as changes in the regulations imposed by the Kenyan Government require us to increase the land available to the children. Effectively they require us to double the size of the site. Below is the existing site.